Five Nights at Freddy's, which means "Five nights with Freddy" is an unusual computer game, released in 2014. During this time she had his admirers, as well as a huge number of opponents. All because a game about killing, completes the mysterious pizzeria, where every night comes to job watchman security guard named Mike Schmidt. He is the same character, which transforms the player. so, in the pizzeria waiting for Mike four animatrice, which is a robotic animal: the bear is Freddy, the duck is named Chica the Bunny is Bonnie and the Fox is a cunning Fox. They are trying by all means to destroy the guard and not to allow it to survive until morning. If the player manages to outwit animatorio and remain unharmed after a night shift, then the level is passed. It is a small prehistory, and it is now going about how to draw Bonnie the Bunny from a computer game. Purple rabbit is Bonnie, which will be discussed below, appears in the game "Five nights at Freddy's" not immediately, but in the second mission. He is very smart and active, perhaps the most nimble of animatorio, evil, cunning and incredibly dangerous. 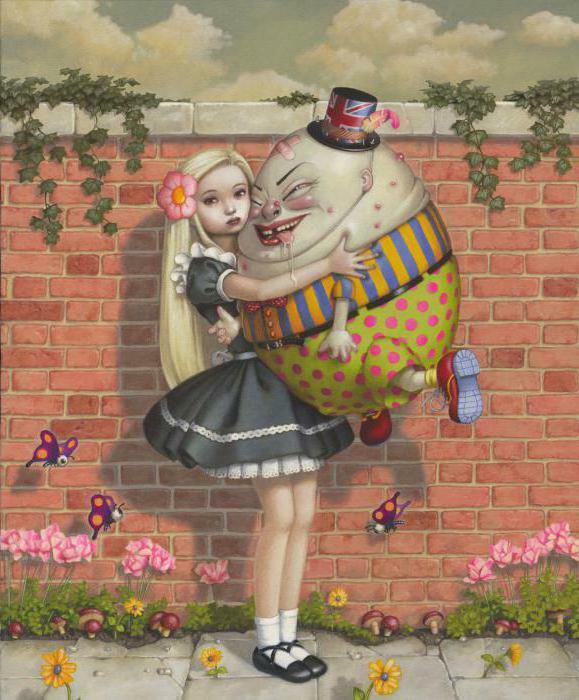 On the rabbit's head was placed two huge purple ear, his neck, his red costume butterfly, and in the clutches of the same color bass guitar. Now let's deal how to draw Bonnie. If you have decided to draw the Bunny from the game "Five nights with Freddy", you need to arm yourself with an eraser, a pencil and a landscape sheet of paper. To worry about the lack of artistic ability is absolutely not necessary, because we will look at the example, how to draw Bonnie step by step and in great detail. Let's get started. the first step is to lay out a sheet of paper, namely to delimit the area that will fall on the head, torso and legs of the character. The sheet should be placed horizontally, so as to draw Bonnie in full growth on vertically positioned sheet is not a very good solution. For the head of the rabbit, on top of which are a tremendous the ears should be left the lower half of the sheet. You need to draw a small circle - the nose Bonnie and have him hold up a big circle - this will be the head of a rabbit. 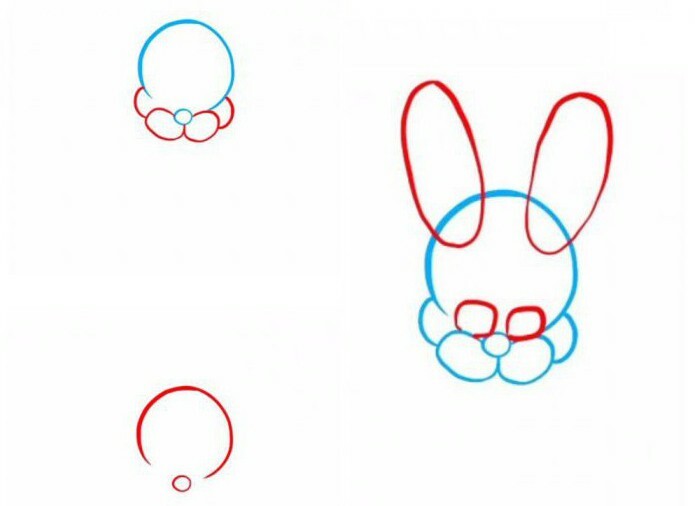 To make the rest of the sample will not be difficult: the ears - it is the same oblong ovals, eyes look like squares with rounded edges, and near the nose animatrice symmetrically on both sides of have two, as if superimposed on each bulb. the Next step in drawing will be the design of the torso of the rabbit. This should be three semi-circle under the head of Bonnie, from smallest to largest. To make the point of attachment of the arms to the torso. Legs and hands to draw separate the interlocking elements, to convey robotobot character. 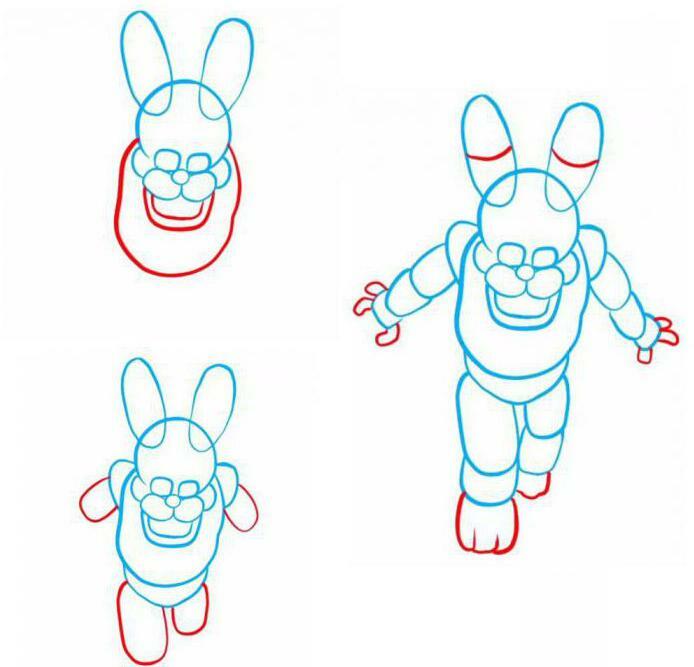 Last, final step to drawing a rabbit from a computer game "Five nights with Freddy" is the prettification of the character at their discretion. In this example, the black-and-white version of the design of animatorio. Every artist has the right to decide how to draw Bonnie and how to paint. Making it purple, you can make your drawing an exact copy of the rabbit from the game. For those who are interested in the question how to draw old Bonnie, I should say that the main contrast drawn us the rabbit is the absence of upper teeth. 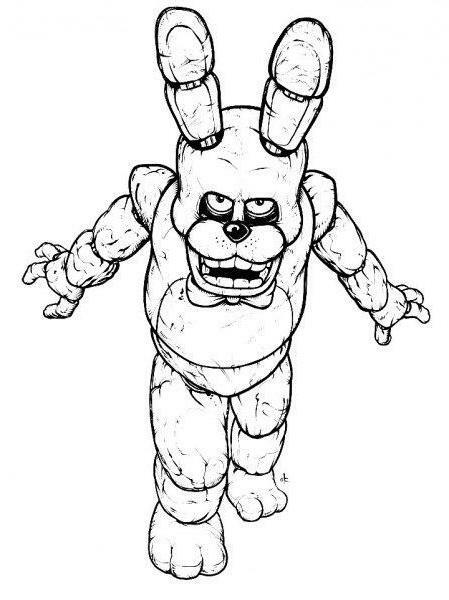 Erase them with an eraser in your final picture, you can see the old Bonnie. 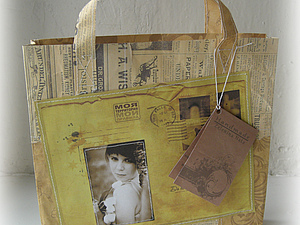 Be creative and experiment!